No matter how you feel about CES, the annual tradeshow provides a glimpse into the future shaped profoundly by technology. Ideas once borne from science fiction novels are increasingly becoming reality from autonomous vehicles and a computer beating us at Go to VR headsets that can transport us into a completely different dimension barely indistinguishable from our own. If anything, the pace of change is accelerating faster than we can keep up with. MIT Technology Review is leading the push towards these new frontiers in emerging technologies. Founded in 1899, the publication features in-depth stories, analysis, and reporting on technology and science topics including self-driving cars, AI, bitcoin, and robotics. In addition to a bi-monthly print magazine with a circulation of 177k, their website is read by millions of readers curious about the impact and role of technology in our society. 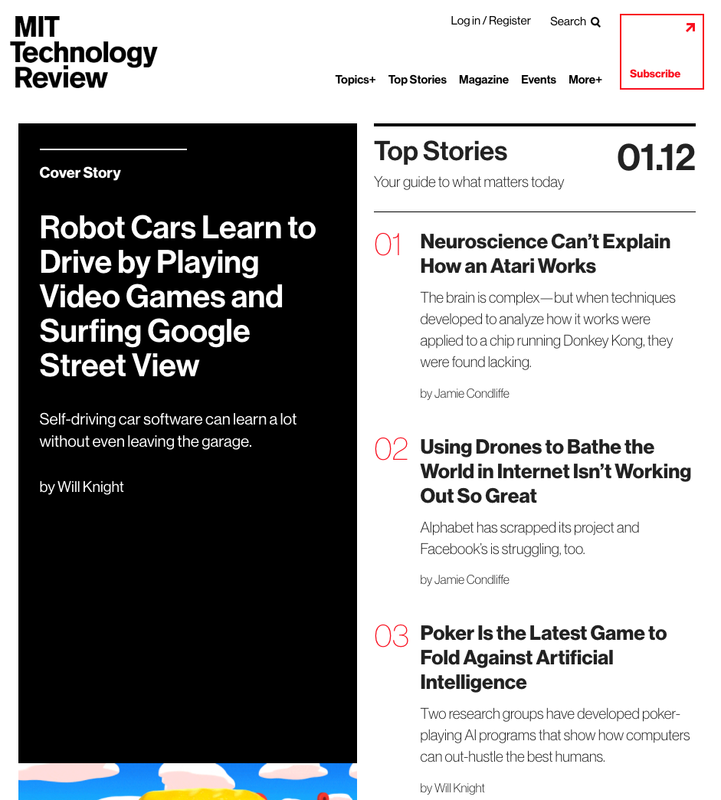 Do you read MIT Technology Review? If so, how did you first discover the site? What do you predict will emerge as a big theme in technology in 2017?